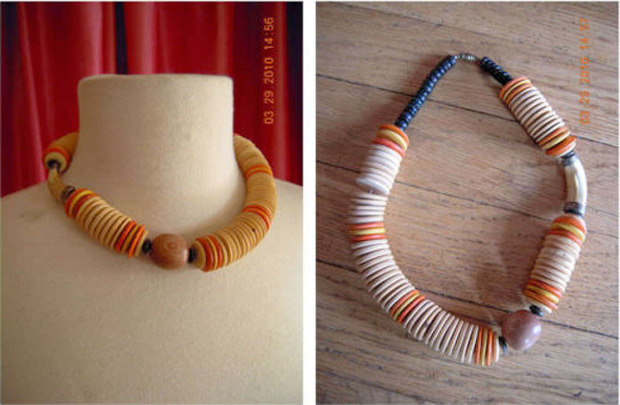 Every week, Amber Bravo chooses one thing to totally obsess over on eBay. 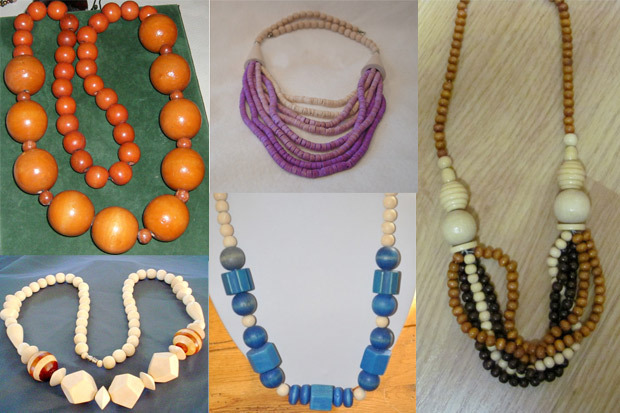 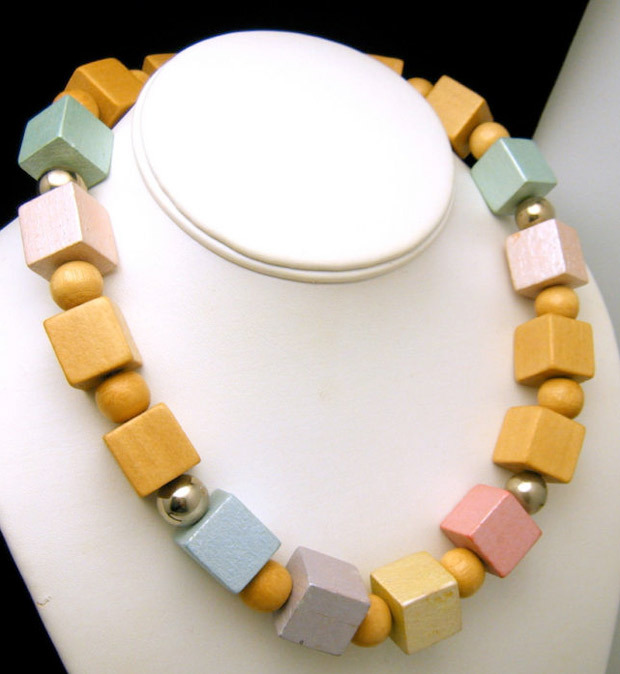 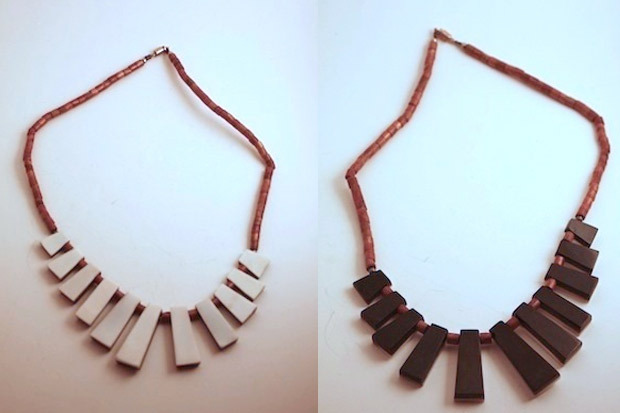 This week she explores statement jewelry of the humbler variety—vintage wooden necklaces. 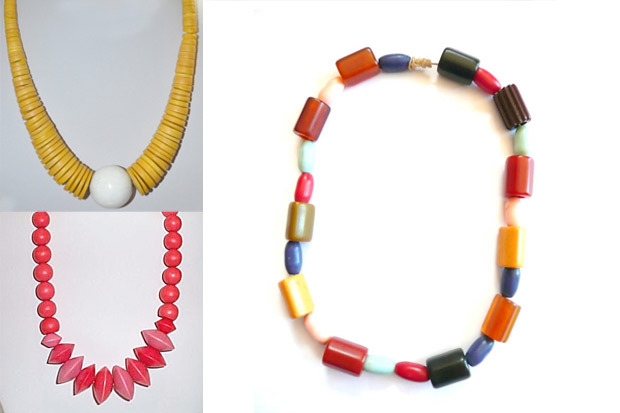 The idea of wearing one of these necklaces with a boxy cropped tee and a maxi skirt, loose-fitting pant or just a straight-up t-shirt dress seems like the perfect hot weather flourish. 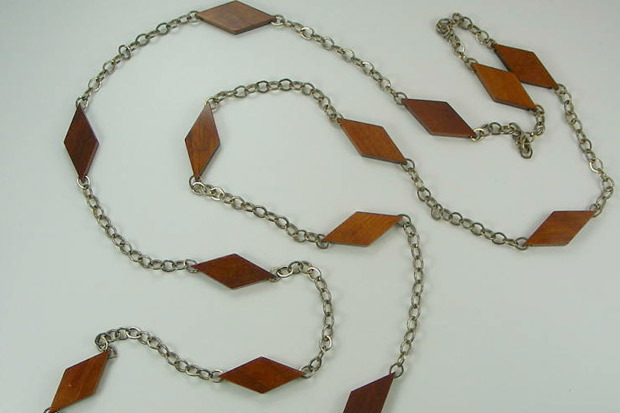 When all you can bear is a necklace and a fine pair of sandals, everything in between should be cool and simple.